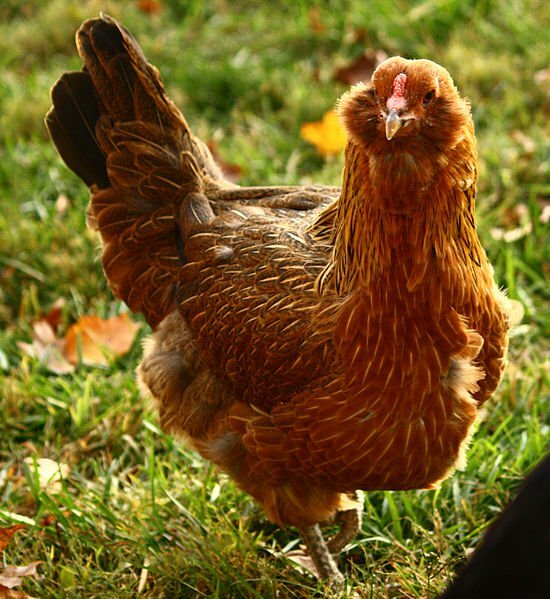 The BEST backyard chicken breeds? I realized the other day that in our 4+ years of raising chickens, I have never actually researched and chosen specific breeds of chickens for our flock. Mostly this is because we have almost always been given free chickens over the years, and when they are free, you don’t really get to choose. I have only bought chicks once, and I basically just got whatever the feed store had that particular day. Back then, I had no idea about chicken breed temperments or egg laying capabilities or anything. The chicks were cute balls of fluff and I didn’t care what they were. Of course, this decision was helped by the fact that two of our hens are broody at the moment. We don’t want them to hatch any of our eggs because we don’t want our Silver Phoenix rooster’s genetics. So they are sitting on golf balls. When the time is right, I will get some day-old chicks from the local feed store(s) and that night will switch out the golf balls with chicks and the hens will think the “eggs” hatched and will raise the chicks as her own. I’ve been doing a lot of research and here’s what I’ve come up with. First of all, when deciding which breeds you want, you need to know what it is you want out of the hens. For us, it’s primarily eggs. Therefore, any breed that lays less than 200 eggs a year on average are not even being considered. Also, we like dual purpose breeds. While we don’t have a plan to raise the birds for meat yet we like knowing that our birds will have enough meat on them to make a decent meal if it comes to that. We’re trying to make it our practice here on the homestead that everything serves more than one purpose if possible. We also like the idea of the heritage breeds, especially the older, established ones. That connection to history is cool. And also, if it’s a true breed and not a hybrid, then when we want to start breeding our own, we can. They have to be cold hardy. This winter was fairly mild in temps but we can dip down to negative numbers (Fahrenheit) for a few weeks at a time, and I want to make sure our girls can weather the weather just fine. We have a bunch of Leghorns and Leghorn crosses right now, and their large combs did not like even the mild winter we had. So here’s my list of chickens breeds that I think will be the best ones for us. Ameraucana – I have heard varying reports on the number of eggs they lay, but most websites say it is over 200. They are cold hardy, not prone to broodiness, are interesting to look at, and of course, they lay the coolest eggs ever! We have one hen now who has some Ameraucana or Araucana blood in her and I love her blue-green eggs! So while they may not be the most prolific layers, the Ameraucana made it to my list because they are just so darn cool! 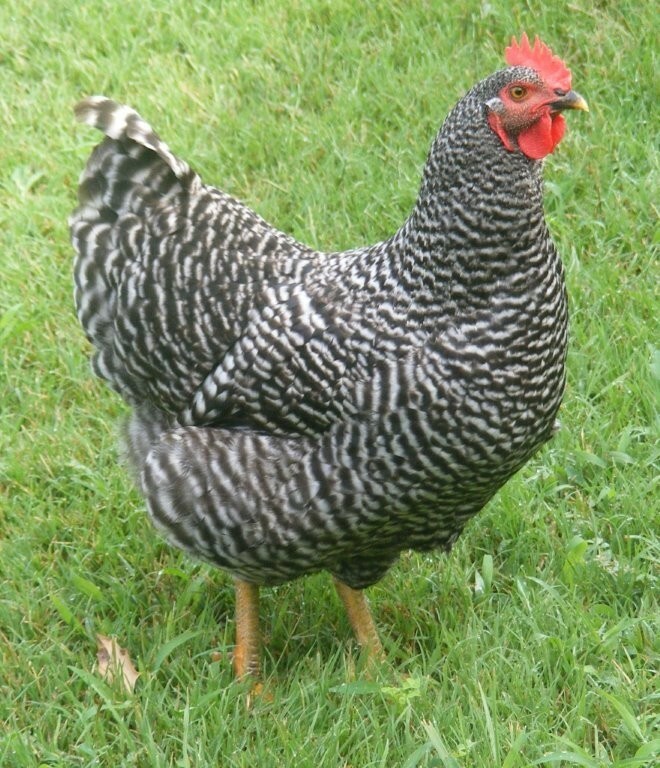 Barred Rock – the Plymouth Barred Rock is an American dual purpose breed that is cold hardy and lays a ton of eggs (up to 300 in ideal conditions!). It is also a beautiful bird. ‘Nuff said. Delaware – they are good layers (200-250), an American dual purpose breed, cold hardy, and beautiful. 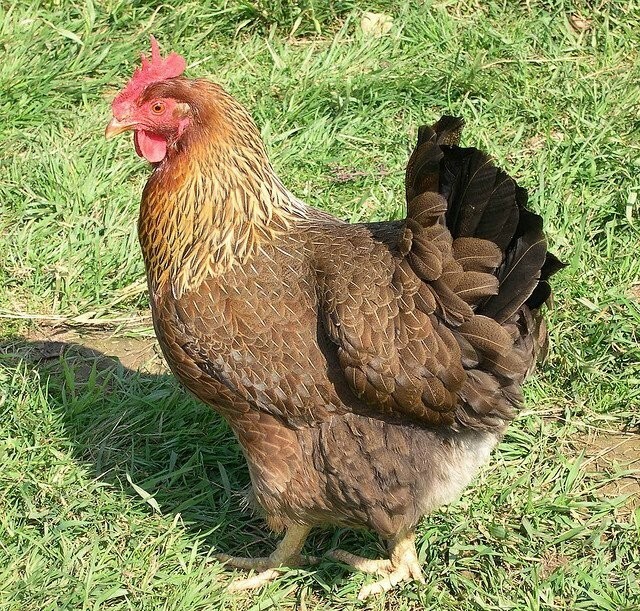 Welsummer – again, a breed I want specifically for the egg color as they lay dark brown eggs. Not quite as dark as the Copper Marans lays, but the Welsummer is cold hardy, where the Marans are not. And the Welsummer is still a decent layer at 200+ eggs per year. They also have the added benefits of being a dual purpose breed that rarely goes broody. Sexlink – so, if you’re a long time follower of ours, you might remember that in the fall of 2014, just a few months into our Portland Interlude, we were given 6 chicks. Three ended up being roosters and went bye-bye (some with larger consequenses than others). One of the remaining hens was killed by a neighborhood cat (we think). The other two matured into egg laying machines! Those two hens were the offspring of one of two roosters and any number of hens in a mixed flock. But the savy farmer who wanted more egg laying machines would try to figure out which rooster and hen combo produced these two hens. And then reproduce it. And hey, if you could tell at hatching which chicks were boys and which were girls, all the better, right? That right there is what a Sexlink chicken is. 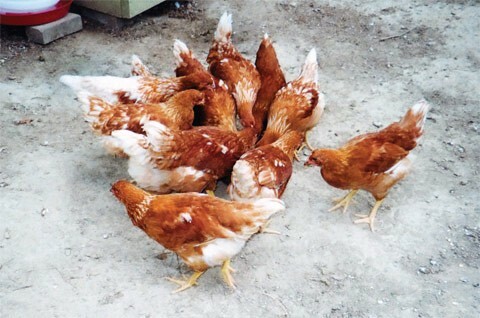 Roosters and hens of different breeds are selectively bred together to get an egg laying machine of a hen. And the cool thing about it is that the chicks are colored in such a way that there is a 100% accuracy rate in telling the boys and the girls apart. And that’s what makes the Sexlink hybrids at least somewhat appealing to me. You know you‘re getting hens. No surprises. 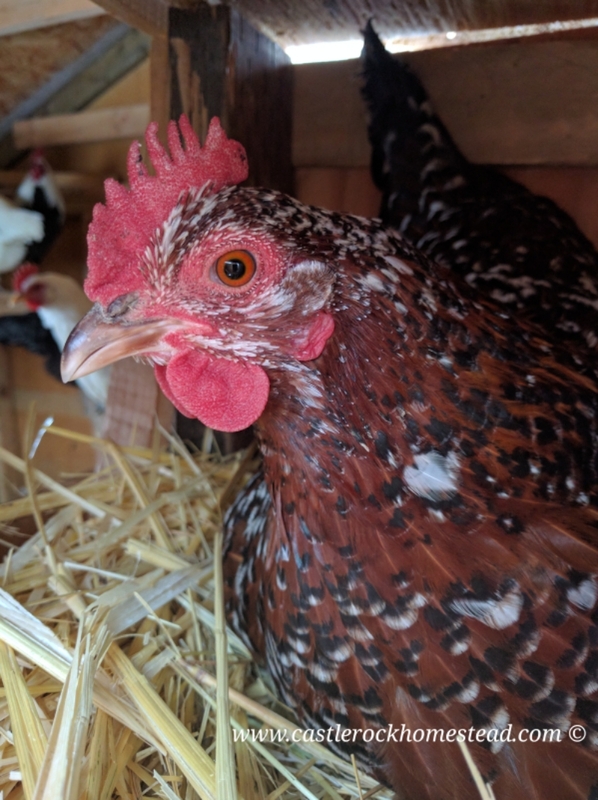 (Most hatcheries have a 90% accuracy rate at sexing the non-sexlink chicks correctly) But, they are not a heritage breed, meaning if you hatch one of their eggs, the chick will not necessarily have any of the good characteristics you are looking for. But the high volume of eggs, and the fact that you know what gender you’re getting means that I won’t discount them outright. So that’s our plans. We’re looking to get about a dozen chicks for ourselves and about 4 for my parents. I’ll let you know which breeds we actually end up with when we get them. Do you have chickens? What breeds do you have? Which are your favorites? This entry was posted in Chickens, Producing Our Own Food and tagged Chickens, Hens, Homestead, Homestead Produce, Homesteading, Sustainability, Sustainable Lifestyle on April 9, 2017 by Maridy. Hi! I raise easter eggers, which are a mix between Ameraucanas and any other chicken breed, so I have a mixed flock with an Ameraucana rooster. The Australorps are one of my FAVORITE birds, and I would highly recommend them! They are very friendly, sweet, quiet chickens. They are just very nicely tempered, but still active and curious. They are not flighty and will eat right out of your hand, but they are still very savvy. They are also very consistent, they go to bed right on time, and they get along well with other chickens. The pictures don’t do them justice. On a sunny day, healthy Australorps get an iridescent sheen to their feathers and start reflecting greens and blues back. They just GLOW. They handle all sorts of cold like absolute champs. They are, hands down, my absolute favorite bird I have ever owned in my last five years of chicken keeping. Plus they are very good layers. The one possible downside, they do go broody consistently as well. Which is great if you like to hatch out chicks. 🙂 They are great moms. I hope you give them some more serious consideration. They should be a staple for homesteading flocks everywhere IMO. 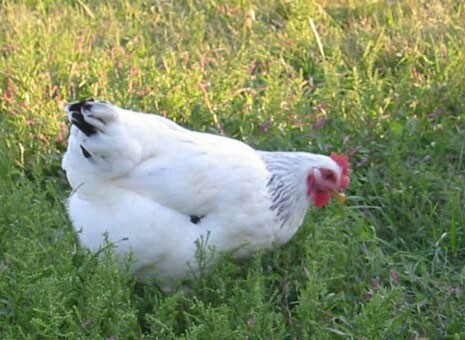 Long answer; Easter eggers are a mixed breed chicken, much like sexlinks, golden comets, ISA browns, cornish crosses, Super Blue Egg Layers, Olive Eggers, or any number of other “hybrid” chickens. Because of this there’s no real set definition for what “makes” an easter egger, but loosely easter eggers must lay eggs that are at least tinted blue or green and should have at least one of the common Ameraucana traits, muffs, rose comb or beards. Better if they have all three. LOTS of advertised easter eggers are just a messy mix of whatever and don’t have any of those traits. For rooster picking purposes, you need a quick genetics lesson. Since I don’t know what your education level is on that I’ll just start from the beginning and if you understand punnet squares you can skip this paragraph. Most genetic traits come in pairs like two light switches, and there’s three settings, off/off, ON/off (or off/ON which are the same), and ON/ON. When an animal breeds, they pass down one of those two genes, and the other parent gives the other. Dominant genes mean that if a chicken has at least one switch “on” the gene is expressed, and if they don’t it’s not. Recessive means that they need both switches to be “on” before they express the gene, if they have just one they carry it but it doesn’t show. Blue eggs are a simple dominant gene, so a chicken that lays blue eggs must be either ON/ON or ON/off (or off/ON). They CANNOT be off/off (this will be brown or white). And they must pass one down. Most well-bred pure Ameraucanas are ON/ON, which means they will always pass down at least one blue egg gene to their offspring. Since the offspring would have ?? ?/ON as it’s egg color, they will always be blue/green/tinted layers. So whether you get blue, tinted or green eggs from the eggs you hatch depends on the individual genetics of the rooster. 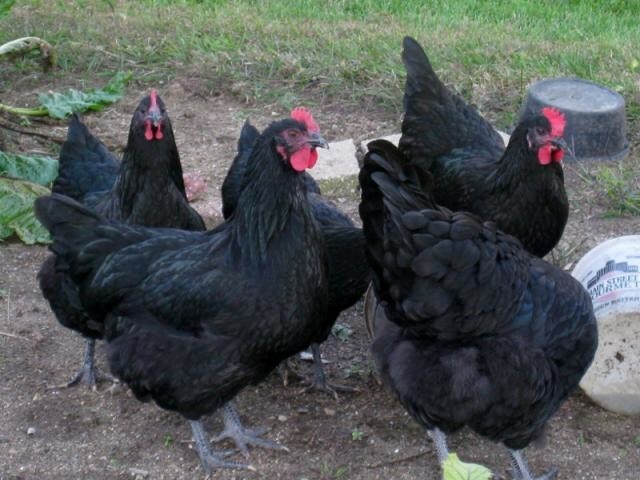 If you have a very good, well-bred pure rooster, you will likely get a rooster with ON/ON blue egg genes and he will always pass a blue egg gene to the offspring. If you have blue/green egg laying hens they may also pass blue egg genes down. But Ameraucanas from non-show quality sources may result in only some of the chicks laying blue/green/tinted eggs. Also, be ESPECIALLY wary of anyone who advertises their birds as Ameraucanas without spelling the name correctly. (Such as Americana and Americauna, etc.) This is often just a shallow, unethical cover for Easter Eggers and mixed breeds. And before you buy, make sure you do some google searches to make sure the birds LOOK like what they’re supposed to.